@Paul do you still have your Rejuvenator? Paul Zager wrote: Be aware that there were issues with the PAL chips on the Rejuvenator. I had to get a set from Expert Services with alternate timing compared to the stock chips in order to get my hard drive controller working off the expansion bus. this is great info Paul! the new boards would need this fix for sure not sure if Eric(intric8) knows about this already or if you still have the info/ new chips from "Expert Services"
Just dropped a big update on this project in a new thread here. This looks awesome. I was getting really excited about this until I read that it only works with older A1000's that have the daughterboard. Can someone confirm if that is indeed the case? Marchie wrote: This looks awesome. I was getting really excited about this until I read that it only works with older A1000's that have the daughterboard. Can someone confirm if that is indeed the case? Unfortunately, that is indeed the case. @Marchie yes - if you have an NTSC A1000 you'll be set. If you have a PAL machine, that unfortunately won't be applicable with the Rejuvenator since those machines had their daughterboards integrated into the motherboard except for the earliest PAL versions. That being said, and I've forgotten to mention this just about everywhere I go, but if you have an NTSC A1000 yet you live in Europe and want to run PAL software (or you're in the US and want to run PAL software), the Rejuvenator has a jumper which will let you switch to/from either mode. intric8 wrote: if you have an NTSC A1000 yet you live in Europe and want to run PAL software (or you're in the US and want to run PAL software), the Rejuvenator has a jumper which will let you switch to/from either mode. intric8 wrote: @Marchie yes - if you have an NTSC A1000 you'll be set. 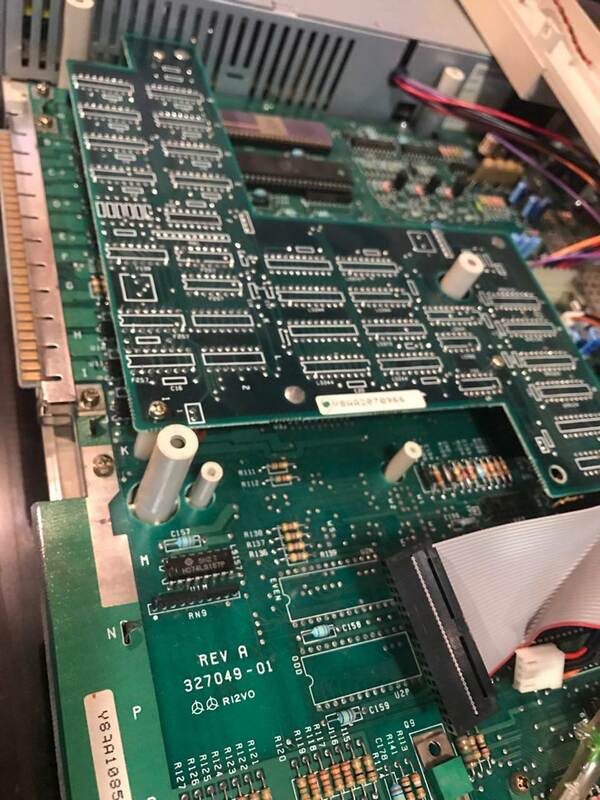 If you have a PAL machine, that unfortunately won't be applicable with the Rejuvenator since those machines had their daughterboards integrated into the motherboard except for the earliest PAL versions. I just want to confirm this before I get too excited, I'm in Australia so I assume I have a PAL version, but this is the daughter board you are referring to right? It appears to have the pins and sockets underneath connecting it, i just havent taken the screws out to remove it at any point and I have read about rejuvenators in PAL Amigas before so I just want to make sure I'm not S.O.L here. Also FWIW my Amiga is not particularly early (SN in the 16000's) but would just like to clarify. You do indeed have the daughterboard. I think it's pretty safe for you to get excited (assuming the project to bring the Rejuvenator makes it to the finish line, that is)! Apparently I am late in the game, but would love to improve my Amiga 1000 as well. An old buddy of mine did purchase an original Phoenix back in the day, but I would be just as happy with the rejuvenator...count me in as well.